If you happened to catch an early showing of "The Hunger Games: Mockingjay Part 2," you may have noticed the filmmakers took some liberties when adapting the final installment of Suzanne Collins' popular "The Hunger Games" series, "Mockingjay." Whether you've already seen the movie and want to relive the differences between the book and film, or simply want a few juicy spoilers ahead of your movie-going experience, we've got your covered! Book: Katniss reveals she wants to help fight in the war against President Snow and not just stand on the sidelines and starring in propaganda. District 13's President Coin tells her she needs to train to be a solider, and so she and fellow victor Johanna Mason decide to do just that. Despite being victors, they struggle with the training, but lean on one another for support. After Katniss passes her final exam, she is assigned to fight alongside Gale and Boggs. Movie: Katniss (Jennifer Lawrence) does not train to be a solider, but instead sneaks onto a supply plane and finds her way into the rebel’s camp. There, she is met by Gale (Liam Hemsworth). 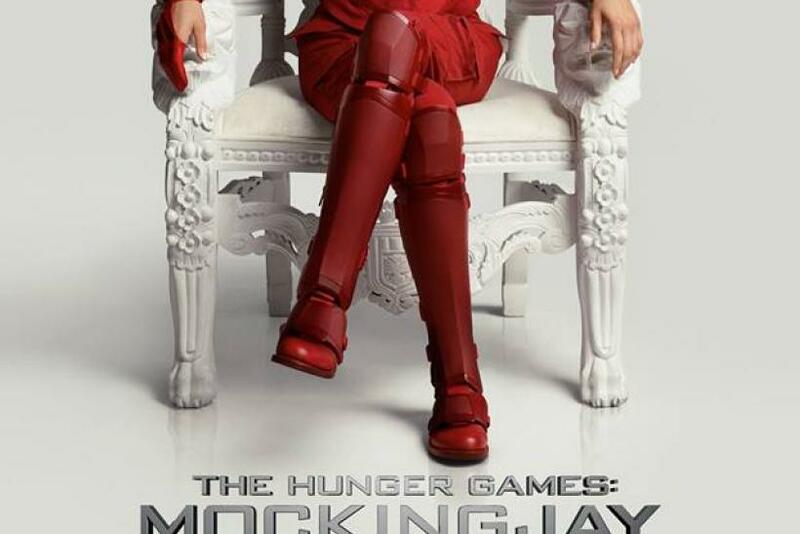 Her act of defiance upsets Coin (Julianne Moore), but she decides to go with and take credit for Katniss’ actions. Book: District 13’s doctors try to help Peeta regain his real memories and not see Katniss as his enemy after being hijacked by the capitol. They slowly introduce him to people he knows from home, starting with Delly Cartwright, his childhood friend from District 12. Peeta calmy talks to Delly but eventually gets upset and calls Katniss a "mutt." Movie: It’s Katniss’ sister Prim (Willow Shields) who first meets with Peeta (Josh Hutcherson) and there is no mention of Delly. Their interaction goes well until the topic of Katniss comes up. Peeta tells Prim she must kill her sister and says he believes Katniss sent her there to speak to him. Book: Peeta begins training to become a solider, too, despite having his mind hijacked by the capitol and previously trying to kill Katniss. The District 13 leaders say it will be good for the rebels to see Peeta, who was only recently recovered, fighting for their cause. After one of the soldiers in Katniss' group is injured, Coin sends in an unstable Peeta to join their team. Movie: Peeta shows up in the capitol to joins Boggs (Mahershala Ali), Katniss and Gale on their mission. Katniss is concerned by his surprise appearance and points an arrow at him upon his arrival. She eventually warms to the idea of him joining the fight despite his violent outbursts. Books: While traveling underground in the capitol Katniss hears her name being hissed. She tells her troop they must flee and they’re soon after attacked by a group of mutts described as being “a mix of human and lizard" and having "tight reptilian skin smeared with gore." In one passage it states that Katniss watches as they "slither onto a ledge." Movie: Katniss hears the mutts' whispers, but their appearances are not exactly as they're described in the books. The mutts in the film run on two legs, appear to have smooth skin and are more zombie-like than reptilian. Book: Katniss finds out that Coin isn’t planning for the democratic Panem the rebels had in mind and instead of executing President Snow, shoots and kills Coin with an arrow instead. Katniss is quickly taken into custody upon Coin’s very public death. In the books she describes waiting for “two days“ in solitude without eating or drinking and plotting her own death. Movie: Katniss is taken into custody but only waits a mere few hours before Haymitch (Woody Harrelson) tells her she is free to go home to District 12. Upon her release, Effie (Elizabeth Banks) is seen wearing the same clothes she wore while getting Katniss ready for President Snow’s (Donald Sutherland) execution. Haymitch says the new president will grant her a pardon down the line. What differences did you notice between the "Mockingjay" book and Part 2 of the film? Share your findings in the comments section below!